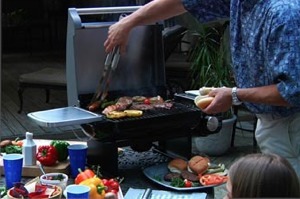 Getting ready for grilling season, but don't think your existing grill is up to the task of another summer of outdoor entertaining? Don't fear, because regardless of your budget or needs, we have a grill recommendation that's perfect for you. And if you do already have a grill, we have some high-tech accessories that will make grilling a little bit easier. If you don't have room for a full grill or you just want something that's easily portable—or just suited for a small space—you may like this propane-powered model from Cuisinart which can be quickly and easily set up anywhere. 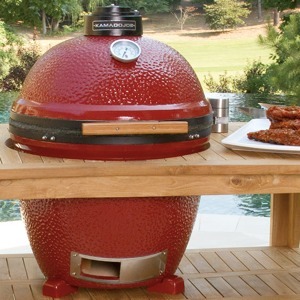 Despite its compact size, it has a 240 square inches of grilling space, and will easily cook enough for 8. If you want something that's more a freestanding grill, there's a stand accessory that turns this compact appliance into a more traditional grill. 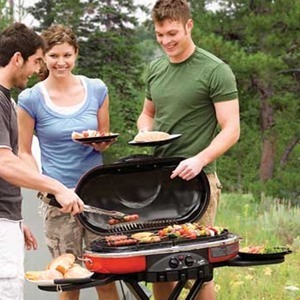 Looking for the perfect grill to take on your next road trip, camping expedition or tailgating party? Then the Coleman Road Trip Grill is what you're after. 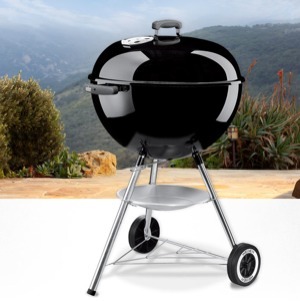 The legs of this lightweight propane grill fold up neatly underneath it for easy transportation. And if you want to do more than just grill, the Coleman also has a griddle and a stove grate, which means it can handle just about any cooking challenge you want to throw at it. When you think "grill," there's a good chance that the image that comes to mind is one of Weber's ubiquitous kettle grills. They offer everything you need in a basic charcoal grill: plenty of cooking space, a conveniently compact size, and an easy to stomach price tag. We like the 22" model as a happy medium between too big and not big enough—with 363 square inches of cooking space, or enough for about 15 hamburger patties, we're sure you'll be able to handle your next barbecue. If you don't want to deal with propane or charcoal—or you live in an apartment or condo where you can't have a gas or charcoal grill—this electric model from Meco may be just the thing to keep your grilling dreams alive. Though it's the smallest grill on our list, with only 200 square inches of cooking surface, that's still plenty of space for grilling for a modestly sized group. If you want a serious grill for serious grilling and smoking, this massive grill from Medina will handle as much as you'll ever need to cook. 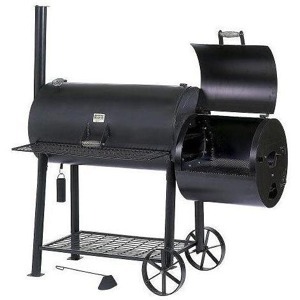 It has a huge 800 square inches of grilling space as well as a 20" by 20" smoker box and a design that allows you to grill in the main compartment while also smoking in the smoker box. 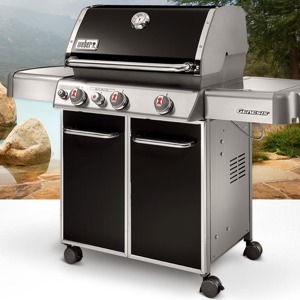 Of course this much grilling power comes at a high price of both money and space: this grill measures 78" by 34" and is the opposite of portable. 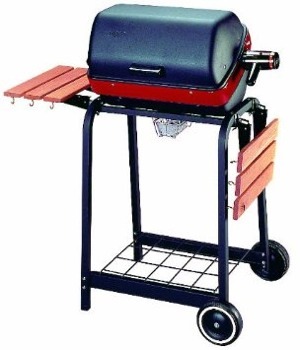 But if you want to max out your backyard grilling capacity, this may be the perfect thing. Want a gas grill that goes above and beyond the small, portable models we've mentioned so far? You'll be hard pressed to find better than Weber's Genesis grill, which has everything you need for the perfect barbecue. Beyond its 637 square inches of cooking space—enough for 25 hamburger patties—the Genesis has a side burner for cooking in a pan and a sear station burner for high-temperature searing on demand. And if you already have a grill—or you're buying one right now—but are looking to up your grilling game with handy gadgets, these are some of our favorite grill accessories. 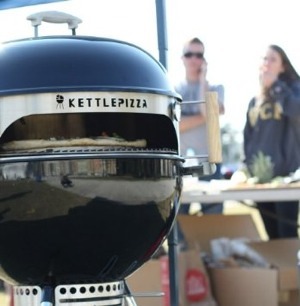 If you're looking to move beyond grilling in your outdoor cooking, this simple accessory turns your existing 18" or 22" kettle grill into an outdoor pizza oven. Who doesn't like fresh from the oven pizza? No one. 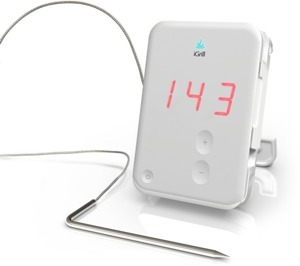 The iGrill is a digital thermometer that connects to your iPhone or Android device with the accompanying app for easy, precision temperature monitoring. Tired of fiddling with lighter fluid to get your charcoal grill going? 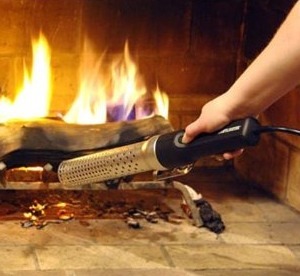 This high-tech fire lighting tool uses super hot air to start a fire in 60 seconds.